A “Believe It or Not” book from the knit graffiti world. The book also has an accompanying blog. Excerpt image above. 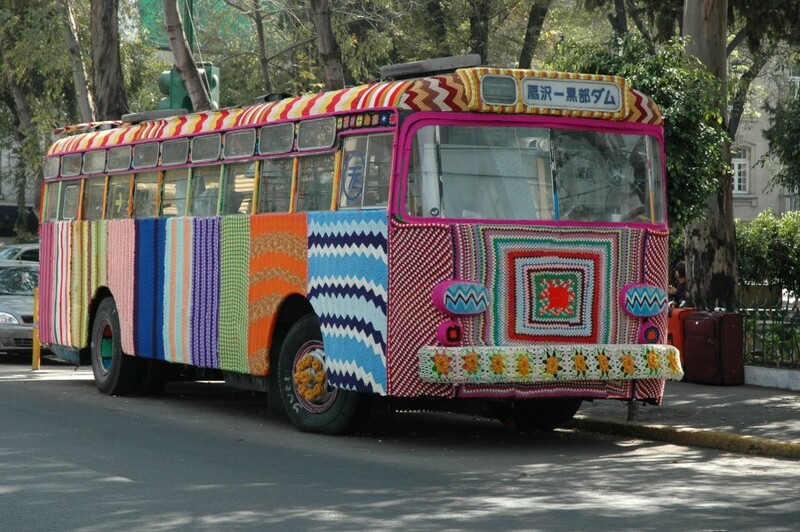 A Houston-based crew of knitters, wrapped a bus in Mexico City in November 2008 with knitted and crocheted blankets. The interior is hollowed out and is used as a space for community art workshops. Photo/Cesar Ortega.